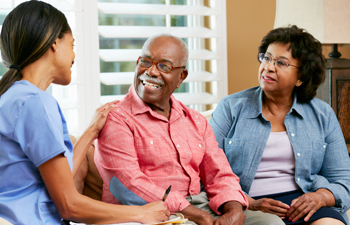 Here at Vernon Home Health, we offer reliable, 24-hour home health care services to patients in Vernon, Beauregard, Sabine, Rapides, Allen, Natchitoches, and Evangeline Parishes. We bring high-quality help right to you so that you can heal in an environment that is comfortable and familiar to you. When you work with one of our skilled therapists, your individual goals and challenges are always taken into account. Not only will Vernon Home Health get you back to where you want to be, but we can also help you prevent future injuries. If you have any questions about qualifying for Home Health services. We provide professional care right in the comfort of your own home. 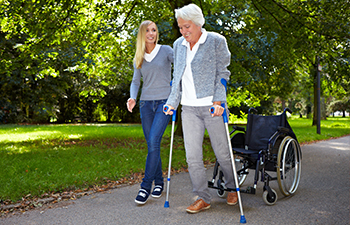 Our skilled nursing services along with our professional rehabilitation team help reduce the potential for readmission to hospitals while working to ensure your goals are met. Locally owned by multiple physicians, Vernon Home Health was established in 1991 with the intent of providing quality in-home care. We proudly serve our community and take pride in our ability to take care of our patients' medical needs — whatever they may be. Contact us today for more information. Vernon, Rapides, Beauregard, Sabine, Allen, and Natchitoches, and Evangeline Parishes.